Father Eric Nielsen is the Director of the Rome Experience and instructor of the annual “Pastoral Practice Seminar”—a course aimed at assisting the seminarian to understand his future responsibility as a priest to imitate and live out Christ’s own pastoral charity. Father Eric Nielsen was ordained a priest for the Diocese of Madison in 1995. In 2006, he was appointed Pastor of St. Paul’s University Catholic Center in Madison, Wisconsin. 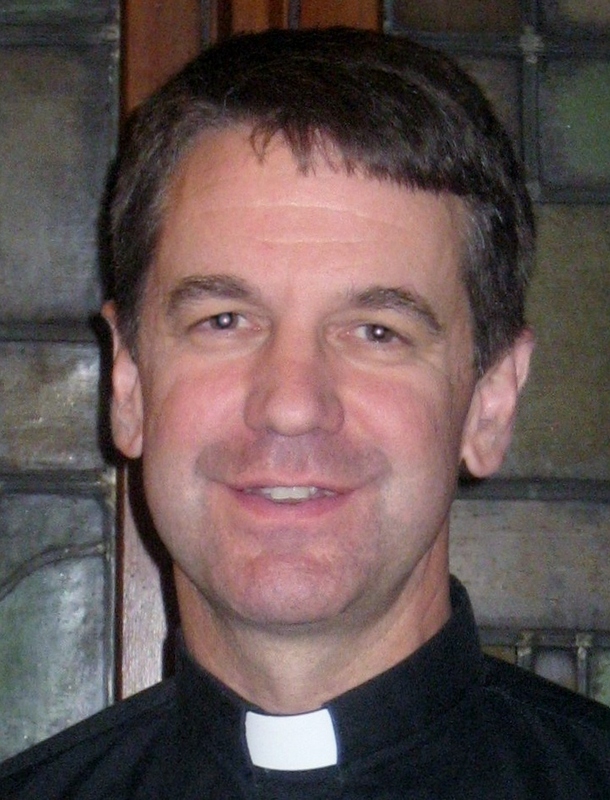 The oldest of seven children, Father Nielsen grew up in Oshkosh, Wisconsin, graduated in 1984 from the University of Wisconsin in Civil Engineering, and entered Mundelein Seminary in 1990. He enjoys outdoor activity and travel when he is not at St. Paul’s encouraging students to focus on study and prayer as a path to know, love and serve Jesus Christ. Bishop Morlino of Madison, WI, has been a wealth of wonderful information, particularly on the hermeneutic of continuity within the teachings of the Church. Having been a Jesuit for many years and then incardinating into Kalamazoo, he offered a unique perspective for us with his broad educational background and wealth of experience. After classes, a group of us went exploring the shops around St. Peter’s to see if we could find holy cards, medals, etc. to have blessed by the Holy Father when we go to the audience. We found a few good places, but Fr. Baker insists there are some really good ones that we missed – we’ll see when he brings us back over there. 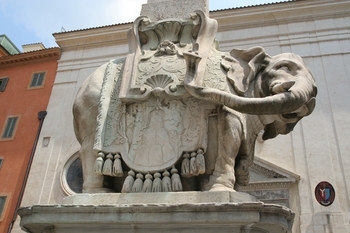 When we returned to Santa Croce, we made our way over to see some of the churches around this side of town. We made it to San Agostino, where St. Monica is buried; Santa Maria Sopra Minerva, where both Bl. 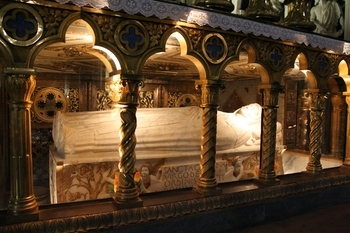 Fra Angelico and St. Catherine of Siena are buried; a Byzantine church (with a name I can’t remember), San Ignazio — burial place of both St. John Berchmans and St. Aloysius Gonzaga — and a few other churches whose names escape me. In all it was a wonderful day, but a bit overwhelming with all that we saw in the space of a few hours. The highlight, though, was definitely Santa Maria Sopra Minerva – the Dominican church – because I really like the Gothic style and it was very peaceful in there. Also, I was able to pray before St. Catherine of Siena. You can get closer to her than any of the other big saints that we’ve seen so far.